After dancing to a peppy number, "Kudiya Di Kurti", with Preity Zinta in her debut production "Ishkq In Paris" (IIP), actor Salman Khan has agreed to launch the music of the film. "Launching IIP music Sep 17 (Monday) with Salman Khan! Two lucky fans could attend it! Win your chance here," Preity tweeted. 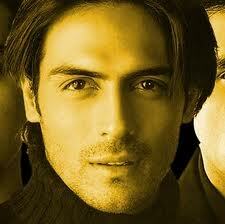 "Ishkq In Paris", directed by Prem Raj, also features Arjun Rampal, French actress Isabelle Adjani and Gaurav Chanana. This is not the first time, Salman and Preity are seen together as they worked together in films like "Chori Chori Chupke Chupke", "Har Dil Jo Pyar Karega" and " Heroes". Preity has also requested fans to support her by saying no to pirated songs. "It's important that my fans support me on this as music Piracy is wrong and unethical. Dear all, I will really and sincerely appreciate it if you can report any websites that have the soundtrack of 'Ishkq In Paris' since its stolen," she tweeted. The film is slated to release Nov 2.